Ronald Bog froze in the first snowfall. I wonder if it confused the geese to be walking on a frozen surface. Echo Lake didn't freeze over - but might yet. The white duck is a Muscovy. 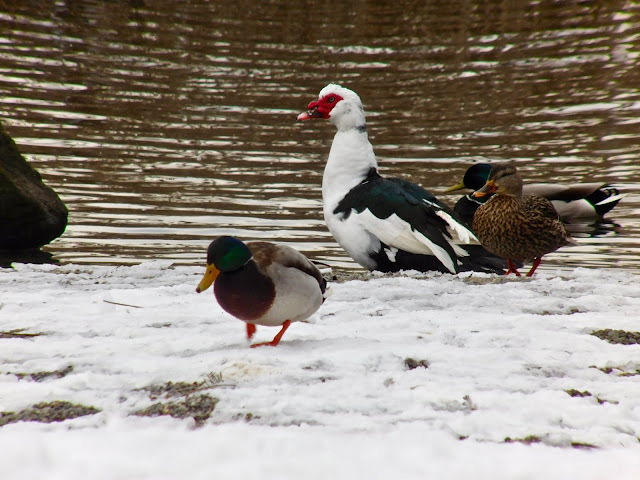 The others are mallards. Not sure what these little birds are. 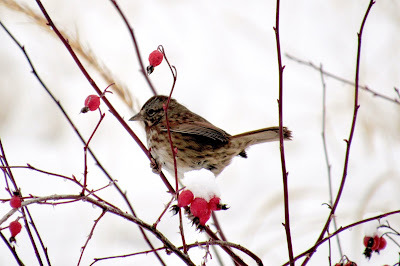 Frank Kleyn thinks the first one is a fox sparrow and I think the second one is a sapsucker because of the long, pointed beak. The little bird with the berries is a perfect Christmas card with the snow and red berries and the little fat bird. The second bird has green wings. Covered with lichen like everything else around here? 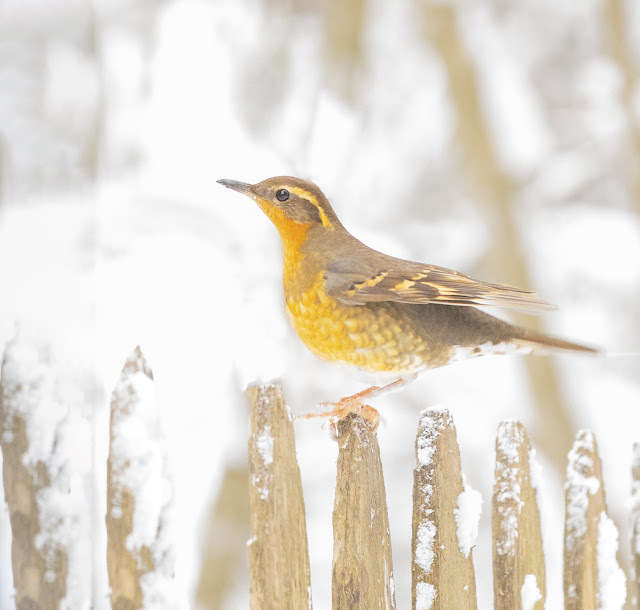 Gloria Nagler thinks that this glowing golden bird on her fence is a thrush. I'd be amazed at the variety of birds but I already know that Chris Southwick has identified over 50 different birds in her Shoreline - Lake Forest Park back yard. Thanks for sharing, Diane. 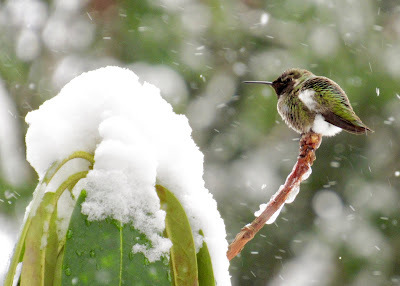 The green bird on the rhododendron is a hummingbird. Song Sparrow, Anna’s Hummingbird and a Varied Thrush.